Sol and I had a letter to the editor in the Wall Street Journal today, responding to an earlier editorial by Bjorn Lomborg. Below is what we wrote. The best part is that I am "Prof. Marshall Burke" and Sol is "Solomon Hsiang, PhD" and we are both at Berkeley. Apparently bylines are not the purview of the WSJ fact-checker (although Sol does have a PhD and is at Berkeley). Bjorn Lomborg's "Gambling the World Economy on Climate" (op-ed, Nov. 17) argues that emissions reductions are bad investments because of cost. But he never considers the value of the asset we are buying. Smart policy should carefully weigh the costs and benefits of possible actions and pursue those that yield the strongest return for society. Mr. Lomborg became famous advocating for this approach, but now he seems to forget his own lesson. Our research shows that the climate is a valuable asset and paying billions to prevent it depreciating is a bargain. Our recent study published in Nature shows rising temperatures could cost 23% of global GDP by 2100 -- and that there is a 50-50 chance it could be worse. Mr. Lomborg rightly advocates for lifting up the world's poor, but we calculate that failing to address climate change will cost the poorest 40% of countries three-quarters of their income. By 2030 alone, we show that climate change could reduce annual global GDP by $5 trillion. These are only the effects of temperature on productivity. Other impacts will add to the price tag. For example, we estimate avoiding intensification of tropical cyclones from climate change is worth about $10 trillion. And warming could increase conflict roughly 30% in 2050; what is that worth? Mr. Lomborg says that $730 billion a year in 2030 is too much to pay to avoid many trillions in losses. This math is easy. 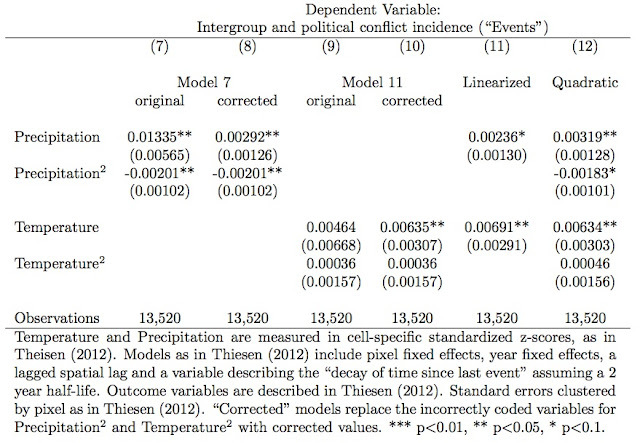 Research clearly demonstrates that hotter temperatures cause more individual level violence (e.g. 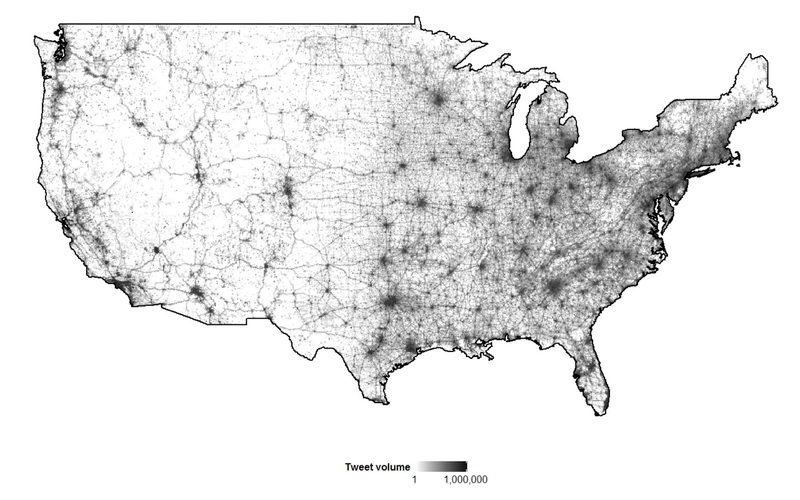 homicides in the US) and more large-scale violence (e.g. civil wars in Africa), and that extreme rainfall leads to violence in agrarian contexts. 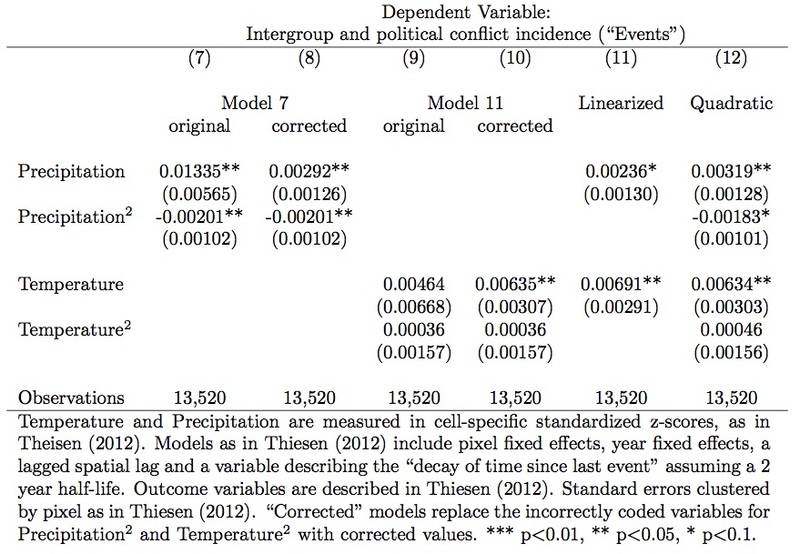 Climate change to date, via warmer temperatures, has likely increased the risk of conflict, although this has not yet been empirically proven. Attributing the Syrian conflict to climate change is difficult. What we can say is that drought and hot temperatures increase the likelihood of these types of conflict. There is currently little evidence for or against a systematic relationship between climate and terrorism. Nature recently requested clarification on whether I should have issued a financial disclosure for my recent paper with Marshall and Ted for a grant originating with the Risky Business Project, based on a inquiry from a concerned reader (at least one is here). For transparency, in case there are other concerned readers out there, our reply is pasted below. The Risky Business Project provided a 1 year grant to Hsiang that ended in the summer of 2014. The grant was to work on new methods for estimating the economic impact of climate change in the United States with a larger research team comprised of researchers from Rutgers University, Columbia University, Risk Management Solutions and Rhodium Group. That work was released in the summer of 2014 as the American Climate Prospectus and then subject to peer review and publication as a book by Columbia University Press: “Economic Risks of Climate Change: An American Prospectus” in the summer of 2015 (http://climateprospectus.org/publications/). That research program was entirely independent of the diverse views of the members of the Risky Business Project, and none of those funds were used to support any of the work in our recent Nature publication. Thus there is no profit-driven element of the organization and Hsiang’s research funding ultimately came from philanthropic foundations, analogous to the Gates Foundation. Further, Hsiang has no financial interest in any of the organizations contributing to the Risky Business Project. For these reasons, Hsiang did not believe it was necessary or appropriate to disclose the grant as a financial conflict of interest at the time of publication. For all of these reasons, we do not feel that it is necessary to publish any correction. El Niño is here, and in a big way. Recent sea-surface temperatures in the tropical Pacific Ocean, our main indicator of El Niño intensity, is about as high as they were prior to the winter of 1997/98, our last major El Niño (and one of the biggest in recorded history). Going forward, median climate forecasts suggest this intensity will be sustained over the coming months, and could even end up stronger than the 1997/98 El Niño. This will have important global consequences over the next 12 months not just on where food is produced but also how it is traded around the planet. First, a quick primer. The El Niño Southern Oscillation (ENSO) is a naturally occurring climatic phenomenon, arguably the most important driver of global annual climate variability. It is characterized by two extreme states: El Niño and La Niña. Warm water piles up along the western tropical Pacific during La Niña. During El Niño, the atmospheric and oceanographic forces that maintain this pool of warm water collapse resulting in a large release of heat into the atmosphere that is propagated around the planet within a relatively short period. ENSO’s impact on local environmental conditions around the planet are known as its “teleconnections.” To a rough first order, El Niño makes much of the tropics (from 30N to 30S latitude, shown in red in figure below) hotter and dryer and the temperate regions (shown in blue in figure below) cooler and wetter. Countries where the majority of the population experience hotter conditions under El Niño are shown in red. 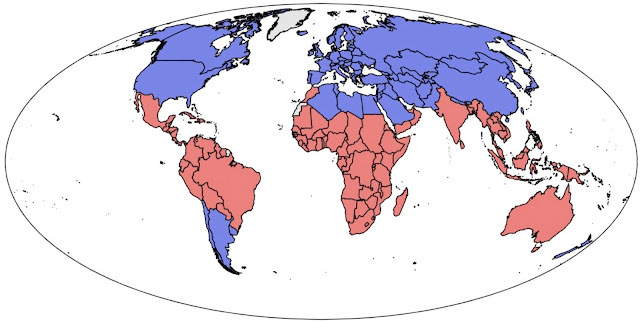 Countries that get cooler under El Niño are shown in blue (reproduced from Hsiang and Meng, American Economic Review, May 2015). There are two features of El Niño that have important implications on global food markets. First, El Niño creates winners and losers across the planet. 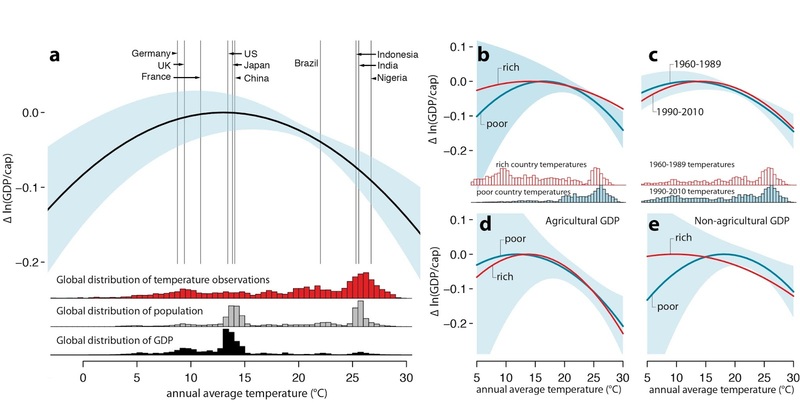 Sol Hsiang and I have shown in a paper published in the American Economic Review Papers and Proceedings, that between 1960-2010, country-level cereal output in the tropics drop on average by 3.5% for every degree increase in the winter ENSO index. For a large event like 1997/98, or the one anticipated this winter, we estimate a 7% decrease in cereal output across the tropics. Conversely, the relatively more favorable environmental conditions experienced by temperate countries during the same year results in a 5% increase in cereal output. Interestingly, if you sum up the gains and losses across the world, you end up with a positive number: El Niño actually increases global cereal output. Second, El Niño impacts are highly spatially correlated, organizing winners and losers to roughly two spatially contiguous blocks across the planet: temperate and tropical countries (which are also mostly just countries south of 30N because there are few countries south of 30S). This means under El Niño, countries suffering crop failures deep in the tropics are also surrounded by neighbors that are likely experiencing similar food shortages at the same time. Why is the spatial scale of El Niño impacts important? Basic economics tells us that the primary driver for international trade is productivity differences across countries. When El Niño occurs, tropical neighbors that normally engage in bilateral trade experience similar crop losses and thus may be less likely to trade with each other. To find an exporter that experiences bumper yields under El Niño, tropical countries have to source food from temperate countries (i.e. North America, Europe, North Asia), that are much further away, for which the cost of trade is higher. The predicted result is that El Niño has two effects on countries in the tropics: it causes direct crop losses and limits the ability of imports to offset such losses. Is this happening? In ongoing work with Sol and Jonathan Dingel, we detect exactly these trade effects. From 1960-2010, when an El Niño occurs, cereal output fall in the tropics with some extra imports arriving. However, these imports do not offset all losses such that countries deep in the tropics experience large spikes in food prices. Stay tuned for that paper. We think this is important beyond food prices during El Niño. In an article published in Nature in 2011, Sol and I, together with Mark Cane, detected that the likelihood of civil wars breaking out in the tropics doubles during strong El Niño years relative to strong La Niña years. Many have asked us about the mechanisms behind this large effect. We now think that direct crop losses together with the limits of trade during El Niño are important parts of the story. What can be done? Sol and I recently wrote an op-ed in the Guardian on El Niño and its impact on global equality with some policy prescriptions. In the short-term, we argue that aid agencies, peacekeeping groups, refugee organizations, and other international institutions should be prepared to send food to the tropics as local conditions deteriorate. We also argue, in the long-term, that investments should be made to better integrate global food markets and improved access to other financial instruments such as like crop insurance. Finally, the spatial nature of El Niño events has similarities with that of anthropogenic climate change, which we know from Marshall, Sol, and Ted’s work is expected to generate winners and losers across the planet. As such adaptation to climate change will involve not just local investments but also global efforts to improve how markets redistribute the unequal effects of climate change. This is a guest post by Kyle Meng, an Assistant Professor at UC Santa Barbara. Daily or monthly weather data? We’ve had a few really hot days here in California. It won’t surprise readers of this blog to know the heat has made Marshall unusually violent and Sol unusually unproductive. They practice what they preach. Apart from that, it’s gotten me thinking back to a common issue in our line of work - getting “good” measures of heat exposure. It’s become quite popular to be as precise as possible in doing this – using daily or even hourly measures of temperature to construct things like ‘extreme degree days’ or ‘killing degree days’ (I don’t really like the latter term, but that’s beside the point for now). I’m all for precision when it is possible, but the reality is that in many parts of the world we still don’t have good daily measures of temperature, at least not for many locations. But in many cases there are more reliable measures of monthly than daily temperatures. For example, the CRU has gridded time series of monthly average max and min temperature at 0.5 degree resolution. It seems a common view is that you can’t expect to do too well with these “coarse” temporal aggregates. But I’m going to go out on a limb and say that sometimes you can. Or at least I think the difference has been overblown, probably because many of the comparisons between monthly and daily weather show the latter working much better. But I think it’s overlooked that most comparisons of regressions using monthly and daily measures of heat have not been a fair fight. What do I mean? On the one hand, you typically have the daily or hourly measures of heat, such as extreme degree days (EDD) or temperature exposure in individual bins of temperature. Then they enter into some fancy pants model that fits a spline or some other flexible function that capture all sorts of nonlinearities and asymmetries. Then on the other hand, for comparison you have a model with a quadratic response to growing season average temperature. I’m not trying to belittle the fancy approaches (I bin just as much as the next guy), but we should at least give the monthly data a fighting chance. We often restrict it to growing season rather than monthly averages, often using average daily temperatures rather than average maximums and minimums, and, most importantly, we often impose symmetry by using a quadratic. Maybe this is just out of habit, or maybe it’s the soft bigotry of low expectations for those poor monthly data. As an example, suppose, as we’ve discussed in various other posts, that the best predictor of corn yields in the U.S. is exposure to very high temperatures during July. In particular, suppose that degree days above 30°C (EDD) is the best. Below I show the correlation of this daily measure for a site in Iowa with various growing season and monthly averages. You can see that average season temperature isn’t so good, but July average is a bit better, and July average daily maximum even better. In other words, if a month has a lot of really hot days, then that month's average daily maximum is likely to be pretty high. This is now what I’d consider more of a fair fight between daily and monthly data. The table below is from what I posted before. It compares the out-of-sample skill of a model using two daily-based measures (GDD and EDD), to a model using the three monthly-based hinge functions above. Both models include county fixed effects and quadratic time trends. In this particular case, the monthly model (3) even works slightly better than the daily model (2). 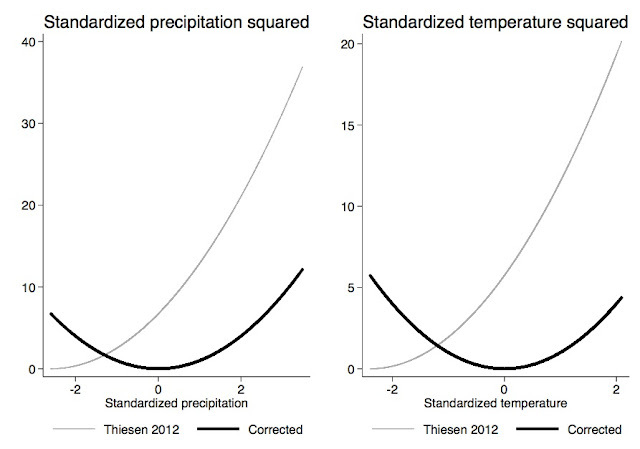 I suspect the fact it’s even better relates less to temperature terms than to the fact that model (2) uses a quadratic in growing season rainfall, which is probably less appropriate than the more assymetric hinge function – which says yields respond up to 450mm of rain and are flat afterwards. Overall, the point is that monthly data may not be so much worse than daily for many applications. I’m sure we can find some examples where it is, but in many important examples it won’t be. I think this is good news given how often we can’t get good daily data. 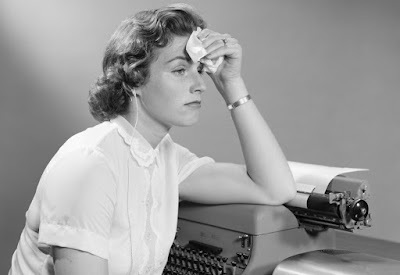 Of course, there’s a chance the heat is making me crazy and I’m wrong about all this. Hopefully at least I've provoked the others to post some counter-examples. There's nothing like a good old fashioned conflict on a hot day. US weather and corn yields 2015. Here's the annual update on weather in the US, averaged over the areas where corn is grown. The preferred model by Michael Roberts and myself [paper] splits daily temperature into beneficial moderate heat (degree days 10-29C, or 50-84F) and harmful extreme heat (degree days above 29C, or 84F). 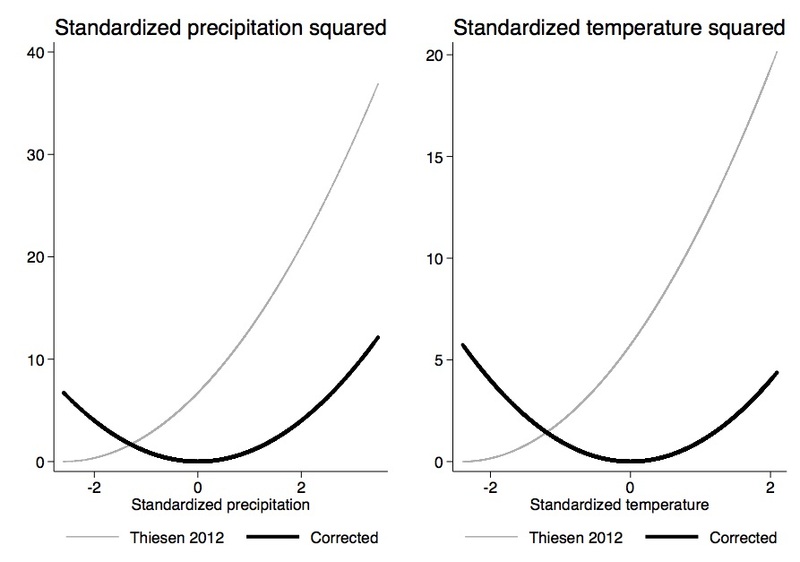 These two variables (especially the one on extreme heat) are surprisingly powerful predictors of annual corn yields. So how does 2015 look like? Below are the numbers through the end of July. First, here's the cumulative occurrence of extreme heat for March 1st, 2015 - July 31, 2015. The grey dashed lines are annual time series from 1950-2011, the black line is the average (1950-2010), and the colored lines show the last four years. 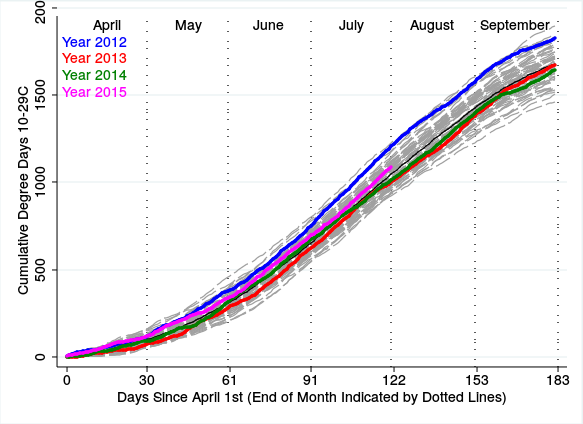 2012 (blue) was very hot and had very low yields as predicted by the model. On the other hand, 2014 (green) had among the lowest number of harmful extreme degree days. 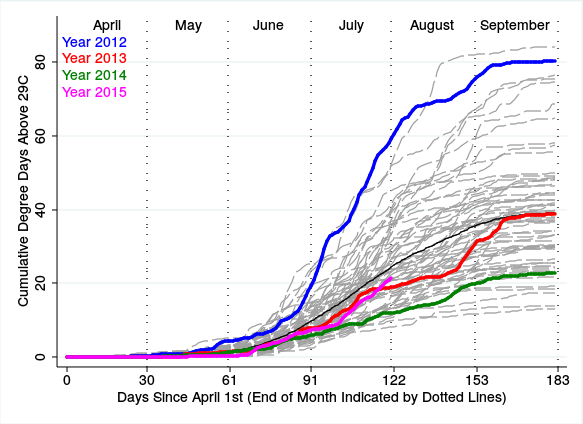 The current year, 2015 (magenta line), comes in slightly below normal so far. Second, beneficial moderate heat is above average. Usually the two are positively correlated (when extreme heat is above normal, so is moderate heat). Lower-than average harmful extreme heat and above-average beneficial moderate heat suggests that we should see another above-average year in terms of crop yields (Qualification: August is still outstanding and farmers planted late this year in many areas due to the cold winter, suggesting that August might be more important than usual). This is supported by the fact that corn futures have been coming down lately. Finally, Kyle Meng and Solomon Hsiang have just pointed out to me that the very strong El Nino signal likely suggests that other parts of the global will see significant production shortfalls, so hopefully some of this can be mitigated by higher than average US yields - the power of trade. Matt has taken the bait and asked me a five good questions about my snarky, contrarian post on climate adaptation. Here are his questions and my answers. It strongly suggests that adaptation will play a key role protecting us. Which parts of their argument do you reject and why? Answer: This looks like a solid paper, much more serious than the average paper I get to review, and I have not yet studied it. I’m slow, so it would take me awhile to unpack all the details and study the data and model. Although, from a quick look, I think there are a couple points I can make right now. First, and most importantly, I think we need to be clear about the differences between (i) adaptation (ii) price response and trade; (iii) innovation that would happen anyway; (iv) climate-change-induced innovation; (v) and price-induced innovation. I’m pretty sure this paper is mainly about (ii), not about adaptation as conventionally defined within literature, although there appears to be some adaptation too. 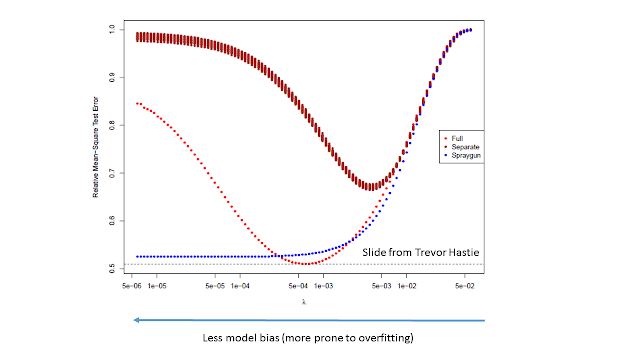 I need to study this much more to get a sense of the different magnitudes of elasticities they estimate, and whether I think they are plausible given the data. To be clear: I think adaptation, as conventionally defined, pertains to changing production behavior when changing climate while holding all other factors (like prices, trade, technology, etc.) constant. My annoyance is chiefly that people are mixing up concepts. My second annoyance is that too many are perpetually optimistic--some economists wear it like a badge, and I don’t think evidence or history necessarily backs up that optimism. Question 2. If farmers know that they face uncertain risks due to climate change, what portfolio choices can they engage in to reduce the variability of their earnings? What futures markets exist to allow for hedging? If a risk averse economic agent knows "that he does not know" what ambiguous risks she faces, she will invest in options to protect herself. Does your empirical work capture this medium term investment rational plan? Or do you embrace the Berkeley behavioral view of economic agents as myopic? Some farmers have subsidized crop insurance (nearly all in the U.S. do). But I don't think insurance much affects production choices at all. Futures markets seem to “work” pretty well and could be influenced by anticipated climate change. We actually use a full-blown rational expectations model to estimate how much they might be affected by anticipated climate change right now: about 2% higher than they otherwise would be. Do I think people are myopic? Very often, yes. Do I think markets are myopic? By and large, no, but maybe sometimes. I believe less in bubbles than Robert Shiller, even though I'm a great admirer of his work. Especially for commodity markets (if not the marcoeconomy) I think rational expectations models are a good baseline for thinking about commodity prices, very much including food commodity prices. And I think rational expectations models can have other useful purposes, too. I actually do think the Lucas enterprise has created some useful tools, even if I find the RBC center of macro more than a bit delusional. Again, my beef with the field right now is that we are too blase about miracle of adaptation. 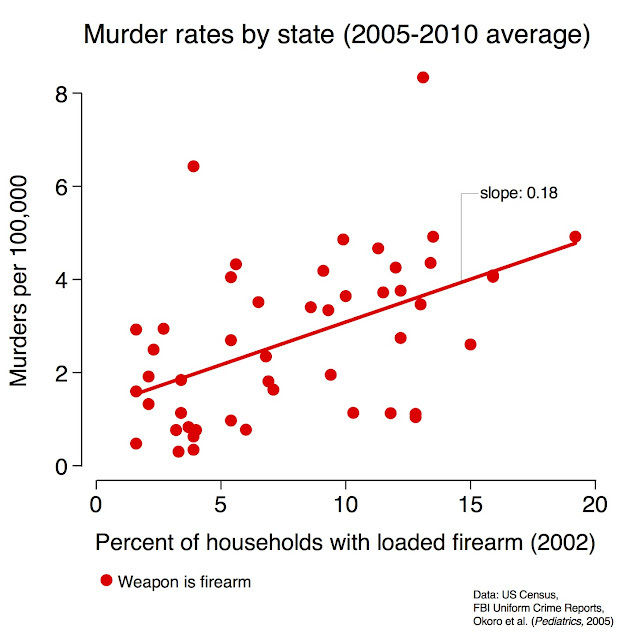 It’s easy to tell horror stories that the data cannot refute. Much of economist tribe won’t look there—it feels taboo. JPE won’t publish such an article. We have blinders on when uncertainty is our greatest enemy. Question 3. If specific farmers at specific locations suffer, why won't farming move to a new area with a new comparative advantage? How has your work made progress on the "extensive margin" of where we grow our food in the future? The vast majority of arable land is already cropped. That which isn’t is in extremely remote and/or politically difficult parts of Africa. Yes, there will be substitution and shifting of land. But these shifts will come about because of climate-induced changes in productivity. 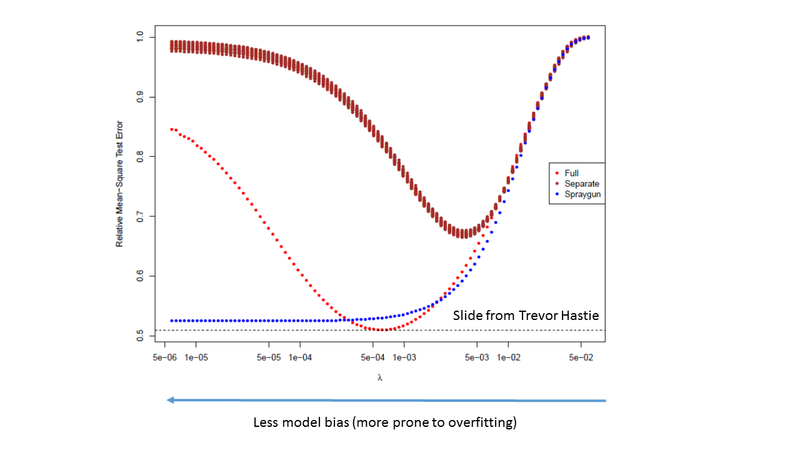 In other words, first-order intensive margin effects will drive second-order extensive margin effects. The second order effects—some land will move into production, some out--will roughly amount to zero. That’s what the envelope theorem says. To a first approximation, adaptation in response to climate change will have zero aggregate effect, not just with respect to crop choice, but with respect to other management decisions as well. I think Nordhaus himself made this point a long time ago. However, there will also be intensive and extensive margin responses to prices. Those will be larger than zero. But I think the stylized facts about commodity prices ( from the rational expectations commodity price model, plus other evidence ) tell us that supply and demand are extremely inelastic. Question 4. The key agriculture issue in adapting to climate change appears to be reducing international trade barriers and improving storage and reducing geographic trade costs. Are you pessimistic on each of these margins? Container ships and refrigeration keep getting better, don't they? I think storage will improve, because almost anyone can do it, and there’s a healthy profit motive. It’s a great diversification strategy for deep-pocketed investors. I think many are already into this game and more will get into it soon. 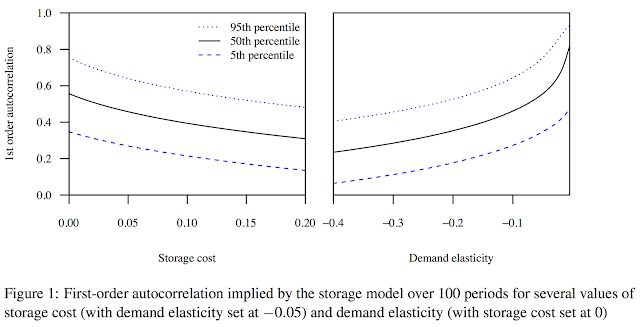 Greater storage should quell a good share of the greater volatility, but it actually causes average prices to rise, because there will be more spoilage. But I’m very “optimistic” if you will, about the storage response. I worry some that the storage response will be too great. But I’m pretty agnostic to pessimistic about everything else. Look what happened in earlier food price spikes. Many countries started banning exports. It created chaos and a huge “bubble” (not sure if it was truly rational or not) in rice prices. Wheat prices, particularly in the Middle East, shot up much more than world prices because government could no longer retain the subsidized floors. As times get tougher, I worry that politics and conflict could turn crazy. It’s the crazy that scares me. We’ve had a taste of this, no? The Middle East looks much less stable post food price spikes than before. I don’t know how much food prices are too blame, but I think they are a plausible causal factor. Question 5. 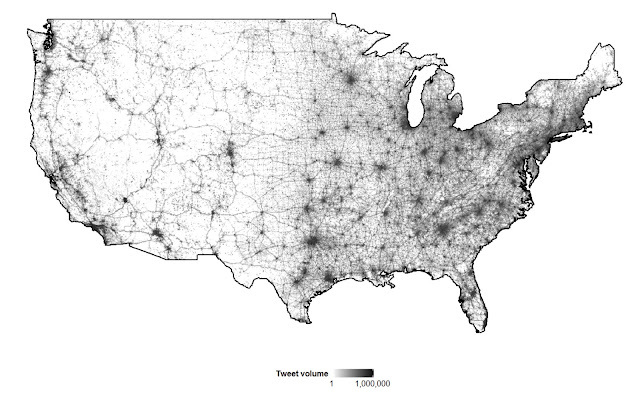 With regards to my Climatopolis work, recall that my focus is the urbanized world. The majority of the world already live in cities and cities have a comparative advantage in adapting to climate conditions due to air conditioning, higher income and public goods investments to increase safety. To be fair: I’m probably picking on the wrong straw man. What’s bothering me these days has much less to do with your book and more to do with the papers that come across my desk every day. I think people are being sloppy and a bit closed minded, and yes, perhaps even tribal. I would agree that adaptation in rich countries is easier. Max Auffhammer has a nice new working paper looking at air conditioning in California, and how people will use air conditioning more, and people in some areas will install air conditioners that don’t currently have them--that's adaptation. This kind of adaptation will surely happen, is surely good for people but bad for energy conservation. It’s a really neat study backed by billions of billing records. But the adaptation number—an upper bound estimate—is small. I thought of you and your book because people at AAEA were making the some of the same arguments you made, and because you’re much bigger fish than most of the folks in my little pond. Also, I think your book embodies many economists’ perhaps correct, but perhaps gravely naïve, what-me-worry attitude.